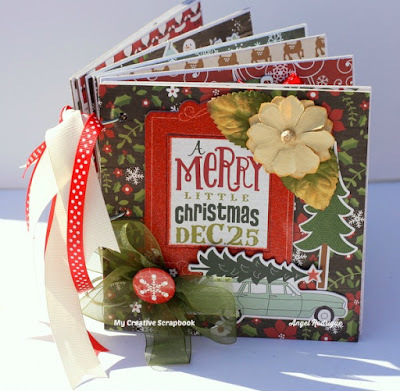 This month we got to play with some yummy yummy Christmas Lines.. I just Love Christmas!!! Here is the album Kit For this Month..
Yummy Right? Well just look at what I ended up making using nothing but this Kit and cardstock of course..
Want to make a Mini of your own? Go To Mycreativescrapbook.com.